This powerful Power Mixer PMX series by Audiocore is equipped with 2 x 250 watt RMS monstrous power and it can produce a warm, clean, and smooth sound to any passive speaker from the range between 08 inch to 15 inch! 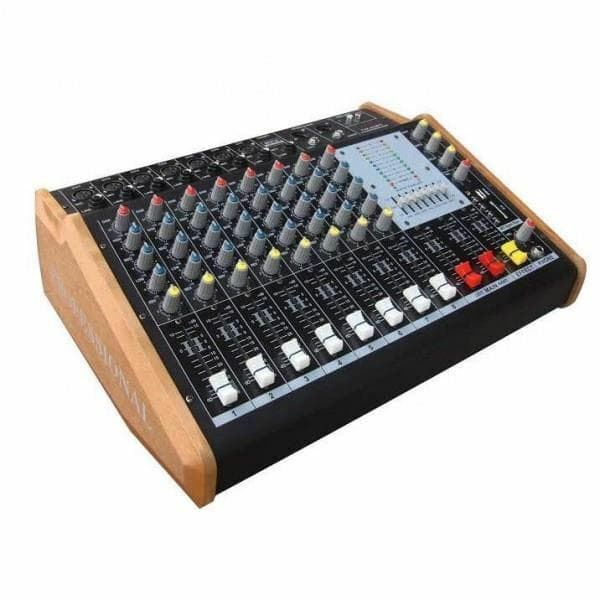 One of the best selling product so far, this PMX Series Power Mixer has been widely used by many big corporations as well as sound engineers around the globe. This 8-mono channel model also has DSP Effect features and USB connectivity for direct MP3 playback. Itseverything that you ever need in an elegant but yet simple device. High quality professional power mixer, perfect for small to medium stage or venues. Yamaha HS 8I Powered Studio Monitor2-way bass-reflex bi-amplified nearfield studio monitor with 8" cone woofer and 1" dome tweeter. Mounting points on 4 surfaces are available.2-way bass-reflex bi-amplified nearfield studio monitor with 8" cone woofer and 1" dome tweeter38Hz - 30kHz (-10dB), 47Hz - ..
Yamaha XP3500The Yamaha XP series offers five power amplifier models that deliver unmatched quality and value for installations. These power amplifier feature high power, outstanding sound quality, extended reliability, and superior stability for a wide range of installed sound systems as well as po..